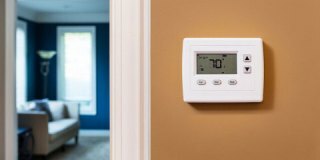 Comcast announced today a partnership with Earth Networks’ WeatherBug® Home optimization software that will help Xfinity Home customers further reduce energy use and lower costs. WeatherBug Home will provide the data and analytics that power Xfinity Home’s energy saving tool – EcoSaver – which learns the heating and cooling patterns of a home and makes automatic, incremental adjustments to the thermostat. “The smart home is quickly becoming a reality, and when it comes to energy efficiency, knowledge is power. Our unique intelligent learning, coupled with our superior big data and modeling seamlessly delivers significant energy cost savings to consumers and energy efficiency and demand response to meet utility mandates,” said Bob Marshall, Chief Executive Officer, Earth Networks. “We are excited to partner with Comcast to extend the benefits of our unique home energy insights to Xfinity Home customers and the utilities that provide their energy services."